Since I made a tutorial for cauliflower rice on Tuesday, I thought I would show you a really easy recipe for it! Obviously you can eat it as a tabbouleh or whatever you want, but I thought it was delicious when I made it into cauliflower fried rice. I made mine vegan (tons of veggies but didn’t have any eggs!) and it was super delicious, but I’m sure it’s great with some shrimp or chicken in it, or even some char sui pork if you can get hold of it! I think this is a great recipe to make an extra batch and have it for lunch! Well, it’s not actually so much of a recipe as you can tweak it to how you want, but I hope you enjoy it nonetheless! Start by sautéing the onions in coconut oil until translucent. Once softened, add the ginger (and chilli, if using). Add the carrot and courgette. When it starts to soften, add the cauliflower rice and season. It’s done when it’s lightly golden. Serve with cucumber or any other fresh vegetables. This looks amazing! Love fried rice! Thank you so much Jess! Millie, I need to give this a try asap as I have been seeing it everywhere these days!! Yours look so delicious with all the veggies! You should definitely try it out Ami! It’s so delicious and perfect for summer! 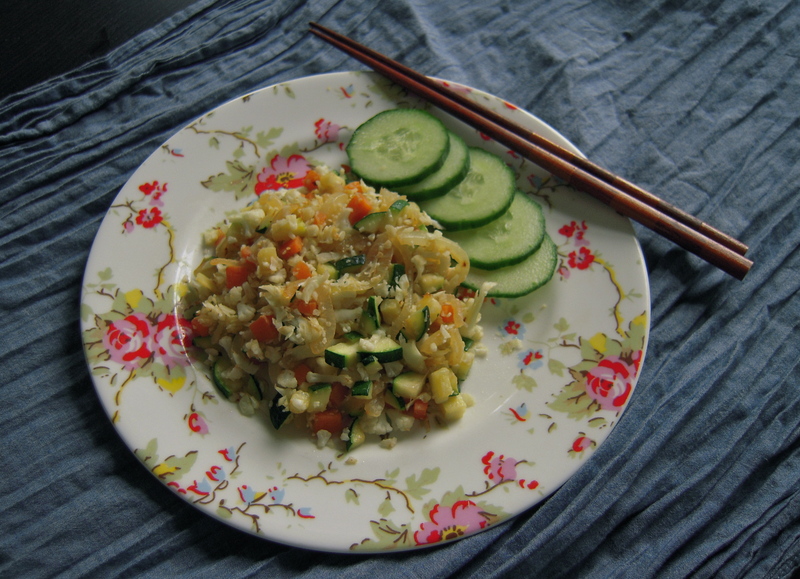 Love fried rice and the cauliflower addition just makes it even more inviting! That looks absolutely delicious, I have yet to try cauliflower ‘rice’, but I’ve been eyeing on jicama fried ‘rice’ lately, it’s amazing that you can use other types of veggies for the rice. For a fried rice, I use very basic ingredients: white pepper (it’s a plus for asian dishes), soy sauce and toasted sesame oil and sometimes organic ketchup for a rather traditional breakfast fried rice. Love the sound of this – will try and find some jicama and try it out! Thanks for the recommendation! 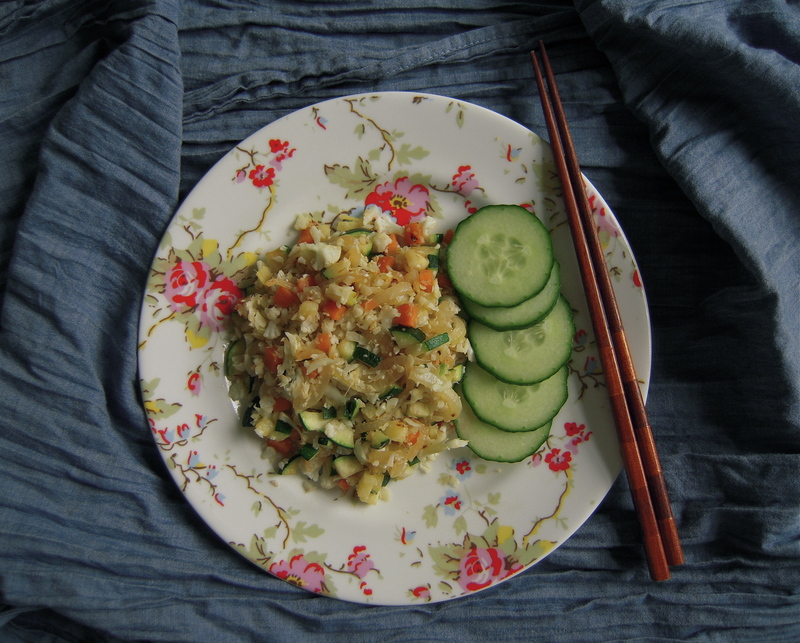 Love cauliflower and love fried rice. Together they rock! This one looks delicious. 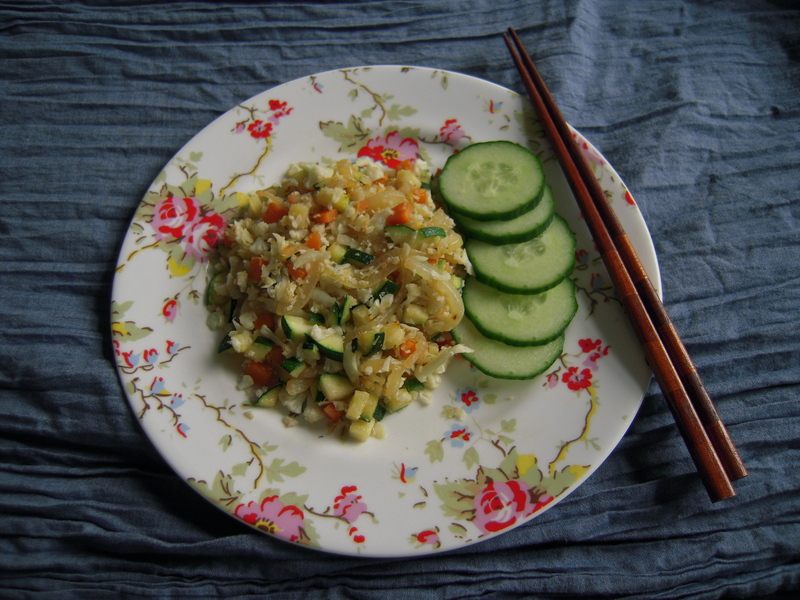 I often rice my cauliflower for sides, but have never made fried rice with it! Hubster will love this! Get new posts straight to your email!